March 21 – Poland has been awarded the right to host the 2019 U-20 World Cup, seeing off competition from India. Peru will host the 2019 U-17 World Cup. Poland had been the lead candidate among the bidding candidates. Last year India had hosted the U-17 World Cup, which England won defeating Spain in a scintillating final 5-2. The tournament had largely been perceived as success and the Indians had been hopeful of staging another FIFA junior competition to ramp up their credentials in the game. The Indian bid was however faced with continental constraints and climate objections. 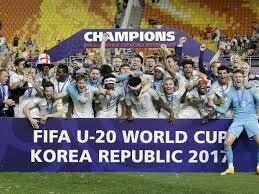 In 2017 South Korea staged the U-20 World Cup and the Indian summer would have made playing conditions very difficult. Thus Poland emerged as a favourite, with a track record of hosting major sporting events. “Following the UEFA Euro 2012 championships, the UEFA European U-21 in 2017, and the UEFA Europa League Final in 2015 it’s time for another test that we – the federation and Poland in general – will pass,” said Boniek. Peru were awarded the bidding rights for the 2019 U-17 World Cup. Chile were the last South American country to stage the tournament in 2015 when Nigeria triumphed in an all-African final. For now these junior competitions will continue to exist, but FIFA president Gianni Infantino has repeatedly hinted at merging both competitions into an expanded U-18 tournament, a proposal that appears to be based on cost issues rather than football development principles, and which found little support at FIFA’s Council meeting in Bogota last week.